If you are new to streaming, before you proceed we recommend to familiarize yourself with Streaming Terminology article - it will help you not to get lost in this one. User-side: this is a group of issues which are happening on a user device or in a user-controlled environment. It can be fixed by changing stream parameters, hardware or software. Normally broadcasters notify users on such problems. Making a local recording and trying to reproduce the issue is one of the best ways to determine if the issue is happening on user-side or not. It's always a good idea to try all user-side troubleshooting first before seeking external help. Platform-side: this is a group of issues that you don't have direct control of, and which is happening just because there is a problem either in a segment of the Internet you're streaming through or at the end platform. If you stream through Restream, you have a handy Monitor tool for diagnosis of such problems, and our support crew will always be ready to help. Below you will find a list of the most common issues with suggestions for their troubleshooting on user-side. This is one of the most common problems - video or audio is having interruptions, the playback is choppy. In the most cases this is a user-side issue. To verify it is the case, you can make a local recording with your encoder using streaming parameters. Try watching your stream in another browser or another device. Sometimes compressing the stream takes too much resources, and your main device can't handle playback of the stream while actually streaming. Generally, it's better not to have your stream being played back on the streaming device at all. If that's not the case, try changing encoder settings. Lower resolution, FPS or fasten CPU preset in encoder settings. Try switching between software and hardware encoders. Sometimes it's a good idea to create a new streaming profile and try recording with default options. If the issue is related to insufficient resources of your streaming device you will see a difference in your next local record. If your video on record is looking fine, then it may ne a network issue. Try streaming to another Restream server. Head over to our Speed Test page and look for three servers that has the lowest MS Ping ignoring AUTO server. Then run a speed test for each of those servers to select the one with the highest speed, and try streaming to it. It's best to try streaming to each of the top 3 servers with the lowest MS Ping, to see which server you connect and stream to the best. Remember to use not more than 2/3 of your upload speed to each of the servers. If changing Restream server didn't help, if your stream lags anyways while the recording with streaming settings is smooth - try streaming to other services directly without using Restream. If it helps, feel free to contact our support to tell them about your problems and troubleshooting steps you went through, and we'll try to help. Your stream may good on some platforms while looking worse at others with the same settings. This may happen because some platforms, like YouTube and Facebook transcode your stream not preserving the original video feed, while other platforms, like Twitch and Mixer, use your original video feed as the highest quality stream, and use transcoding to provide lower resolutions only. 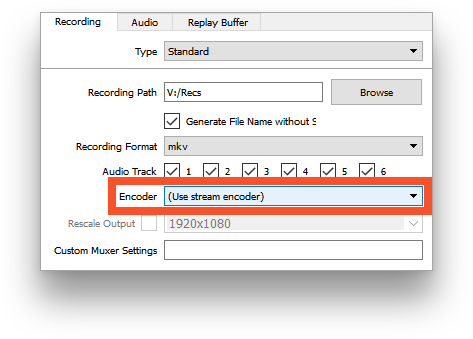 While streaming make a local recording with using stream encoder - it will not add extra stress to your system - and compare your local file with the records you have on your platforms. If the video quality is the same on both record and stream records, you should adjust your encoder settings. Depending on your existing parameters you may want to increase bitrate, resolution, FPS or slow down CPU encoding preset. If the video quality is still different, try streaming directly to any of your platforms without Restream. See if the video quality gets any better in comparison to local recording. If the quality is still different, ensure that you're streaming to a platform that preserves original stream, and once again check that you're making a record using stream encoder. Take a note on your encoder notification area - it may be overloaded or have connectivity issues in general. If it's overloaded - keep lowering stream settings; If it's losing packages - make sure you're having a good connection to the Internet (you can read more about it in Network Issues section below). If stream quality is good only while you stream directly to one of your platforms and is bad if you stream through Restream, please contact Restream support to ask for additional help telling about all troubleshooting steps you did. There are the cases when your stream looks good and plays back smoothly for the most time, but sometimes, in certain situations, lags may occur out of nowhere, and appear in both record and stream. One of the most common issues known happens when you try to stream PUBG game on Windows 10 with OBS Studio or Xsplit - you may have been streaming fine in the past with exact same config, but it started lagging without any visible reason. The first thing you need to do is to determine situations when this happens. You may ensure this is the very same case if you try to have your windowed game in focus while streaming, and then change focus to another window with Alt+Tab hotkeys. While the game is in focus, your whole stream will have a bad framerate, and switching the focus to something else will suddenly fix framerate for the stream, and the game will begin to look well. This is the rarest and hardest issue to diagnose, but you need to understand the conditions which cause this behavior - in every case, it's caused by different reasons on user-end. You may want to try performing a system restore to the previous stable state to see if it helps, or uninstall recently added programs. At OBS forums they claim there's nothing they can do with it, since it's caused by Windows 10. Previous versions of windows are unaffected. If you have faced a similar app-specific behavior, you should try to find alternative apps, or consider making a 2-device streaming system with a capture card, so one device is fully responsible for content you stream, and the second one is responsible for stream only. Most of the time this is a user-side issue when a user forgets to add a video source to their broadcaster. Sometimes it is an issue on end platforms, so you need to check if a video is missing from several places before you start troubleshooting. Make a local recording and check if the video is visible on it. If it is not, you need to add a video source to your broadcaster software scene that is active right now. If your video is visible in your broadcaster and your local recording, sometimes it may not be visible in Restream Preview window. This doesn't necessary means that your stream isn't delivered to end platforms. Some encoders, like LiveU, sometimes give bad metadata, which disables preview player and gives wrong diagnostic data on target platforms. Normally restarting broadcaster helps. You can also try selecting another Restream location in your broadcaster. If you have a black screen on one target platform only, while other works fine, check with platform's streaming guidelines and make sure your stream is within reasonable specs for this platform. If none of that helped, contact our support service and describe your issue with as many details as possible. In some casesб your sound may not be available on stream. This is normally caused by broadcaster misconfiguration and is easily fixed on user-side. 1. 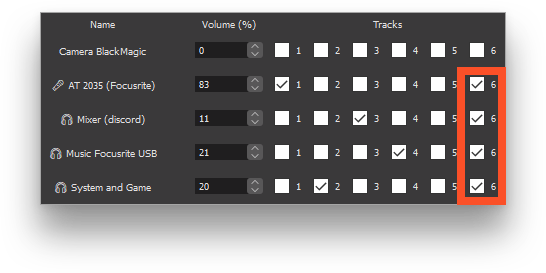 You should first check your OS volume mixer to make sure that playback and capture devices you want to be listenable on stream are connected and work properly. 2. When you made sure that your audio devices are available, depending on your broadcaster go to settings and select proper devices there, or add them as sources to a scene. 3. If even after that you can not hear your sounds on stream, check your broadcaster's additional sound settings/mixer. If it supports multiple channel outputs, you may want to enable your audio devices for the channel you send over to stream. 4. Lastly, try streaming to any other service rather than Restream, and make a local recording. If you will not be able to hear your sound in both cases, please contact our support service and tell them about all the troubleshooting steps you went through. One of the most common beginner's mistakes is having their stream playing back on the same device that does the encoding. Not only it takes additional CPU resources for decompression, but it may also playback sound of your stream, which leads to echo on the final video. This happens because normally broadcasters capture device playback sound source and send it over to the stream along with user's microphone source. Since streams happen with a delay, that captured sound gets played back again on user's device again in a few seconds, and this playback is captured by broadcaster and sent to the stream again. This is somewhat similar to what you can see if you place two mirrors next to each other - infinite reflections. The solution is simple - mute or stop all your players, and the sound will get fixed instantly. Sometimes your sound may not match the video you send. A speaker can stop talking, but his speech keeps playing back, or a sound of an explosion in the game comes much later then it should. This is normally can also be fixed on user-side. First of all, make a local recording to check if the sound is not synced there too. If it is so, open your encoder's audio mixer or advanced audio properties and try adjusting audio sync offset. Some encoders allow only positive offset, while others allow negative offset too - try values like 200 and -200, and see which one is better in production. Increase or lower the value depending on the result. It's also good to check your audio frequency settings - the most common is 44.1Khz, while some encoders use 48.0Khz by default. Try changing this value to see if it helps. If sound offset happens only on your stream through Restream, but not on your local record or stream to any other platform, please contact Restream support asking them to check your logs. Make sure to attach the recorded file and a link to the stream on which the audio offset is happening for you. In some cases, users test their speed and get great results, but when they start to actually stream, they can't reach even 10% of the bandwidth they were reported they had. This may be a clear indication of unstable connectivity. While speed tests do the test of upload speed, they don't have any way to tell if your connection is good. This situation normally happens to users connected over a wireless connection with many devices in the same network or with obstacles between streamer's device and WiFi emitter. In such cases, you need to either boost the signal by using WiFi repeaters/mesh networks, or by getting closer to the signal source and disconnecting all other devices from the same network. Ideally, you want to connect over wires to avoid any interference coming from outside. If you are connected over wires, have good upload speed but still can't stream reliably, you can try streaming to other services, or select a different Restream server to stream to, which will be closer to your location. If you can stream to other services just fine, but can not stream to any of Restream servers, please contact our support crew. There are two main categories of reasons for not being able to connect to Restream servers. First is a block by network carrier/user firewall; Second is your broadcaster misconfiguration. To make sure it's not a user issue you can try to ping Restream servers. If you can reach our servers, but still can not stream, try to modify RTMP URL in your encoder so it will send stream over to port 80 - for that you will need to switch it from streaming services to manual URL designation mode. In the case of EU-Central server rtmp://eu-central.restream.io/live the change will look like rtmp://eu-central.restream.io:80/live, so you basically need to add ":80" before the "/live" part. If that does not help, check if you have any antivirus/firewall software enabled and if it has any app-specific rules. In some cases, it's enough to whitelist your broadcasting software to get it working. If you can not reach our servers then you should see if you are located in a limited environment - those are normally corporative or public networks. In this case, you can either contact your network administrator to whitelist Restream servers in their firewall or try to bypass restriction by using a VPN service. Bad stream parameters. Sometimes platforms will reject streams coming with incorrect parameters. For instance, platforms like Facebook, Periscope, and Picarto have lower recommended settings than other platforms, which may lead to troubles or even an inability to stream to them. You always need to check if your stream was within recommended streaming parameters before you check for other possible reasons. Expired token or insufficient permissions. In case of an expired token, try removing the platform from the list of added platforms and add it back again, then try streaming. If it will not help try streaming to the platform directly without the help of Restream - if you will not be able to do so, then your account lacks permissions to stream, and you should get livestreaming enabled on the platform. If your stream disconnects often, you first need to understand if it's your ISP or your encoder. Make a local recording, and see if it plays back without issues. If you are connected over WiFi, try getting a wired Internet connection. Try streaming to one of your end platforms without Restream, and also to the one where you have noticed disconnects. See if issues repeat for both, or only for the one you initially had disconnects with. Sometimes specific apps cause disconnect while they work in parallel with your stream. For instance, running Adobe Photoshop may cause your stream to stop after about an hour and will not let you resume it unless you restart the app. If there were no issues with direct streaming, but you have them while you stream with Restream - try streaming to another Restream server. If that doesn't help, contact our support service letting them know about all the steps you've taken.